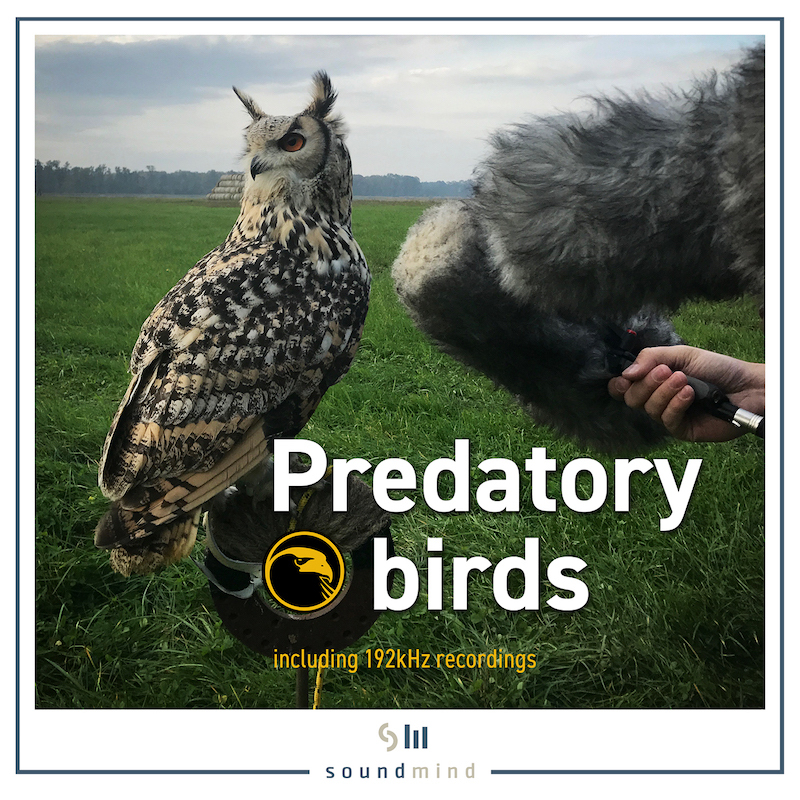 Three sessions, recorded in super quiet big field, were recorded extremely close to birds. The intention was to grab very isolated and rich sounds, useful for sound design. For this sessions we used Sanken CO-100k and Sennheiser MKH-8060, which were super close (just a few centimeters away from brids beaks) and Schoeps CMC-6XT MK41 a bit wider for more natural/open sound. Although sometimes Sanken and Sennheiser sound very similiar (they were in similar position), we left both files. Sanken recordings (@192kHz) are amazing for pitch shifting, yet sounds recorded by Sennheiser are very natural in neutral pitch. All sounds were recorded on Sound Devices 700 series recorders.